Great Investment Opportunity! One of Fruita's most recognized locations is now available and ready to evolve into the next great Grand Valley attraction. 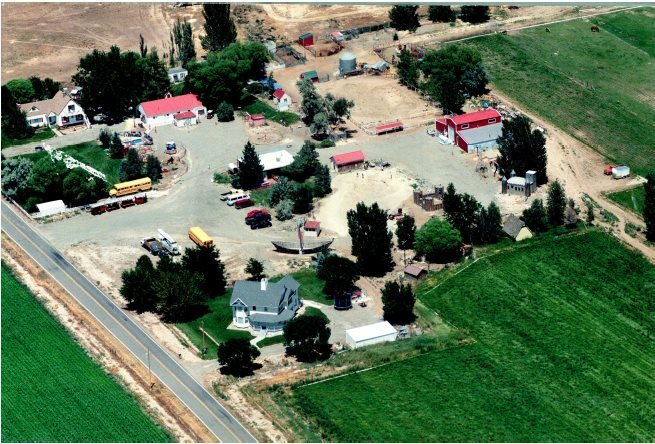 For years, the Moon Farm has been a favorite location for families from all over Western Colorado. Most recently, it is the Valley's favorite Pumpkin Patch and home to two successful VRBO properties. The property sits on 14+ acres and includes two VRBO homes. The Farmhouse includes 4 Bed and 2 Bath and will sleep up to 12 persons. The Outpost is a 2 Bed, 1 Bath unit that will sleep up to 6 persons. Business opportunities for the property could include an RV park / Vintage camping / Glamping, Wedding and Special events, UTV rentals, Bike events, etc. The location is in close proximity to some of the best mountain biking and ATV trails in the country. Now is the time to capitalize on this tourism and special event opportunity.